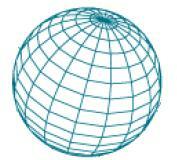 The Kosmo project is the first Free GIS Corporative Platform, distributed under the GNU/GPL. Kosmo design and architecture is focused on management and analysis of territorial information through Spatial Data Bases, so providing it with corporative nature. The project is in full development and with the first of its components -Kosmo Desktop- in continuous evolution and available for whom requires advanced functionality in an powerful desktop GIS. It is worth to point that Kosmo is deployed in a vast number of productive systems with high requirements of both stability and functionality. Why is it called Kosmo?